Whether your pet needs a routine spay or neuter procedure or requires a more complicated orthopedic or other surgery, we are ready to provide compassionate care using advanced surgical techniques. continuous intravenous fluid support. Your pet will be monitored by a certified or qualified veterinary technician and advanced monitoring equipment to assure their safety. 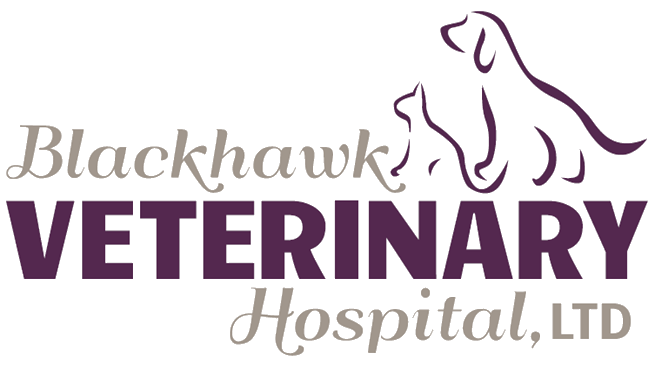 At Blackhawk, we understand cost is frequently a factor in your pet's care. We want you to understand some of what goes into the cost for our surgical procedures. We want to do everything we can to minimize every pet's stress and discomfort. 1) What kind of anesthesia will my pet receive? Are they receiving a pre-operative examination for individual anesthesia assessment, sedatives, and pain medication before, during and after surgery? Are they intubated to receive oxygen during surgery? 2) Will my pet receive intravenous fluids while under anesthesia? IV fluids help sustain blood pressure, reduce kidney stress, and prevent dehydration. The IV catheter also allows immediate access in the case of an emergency. 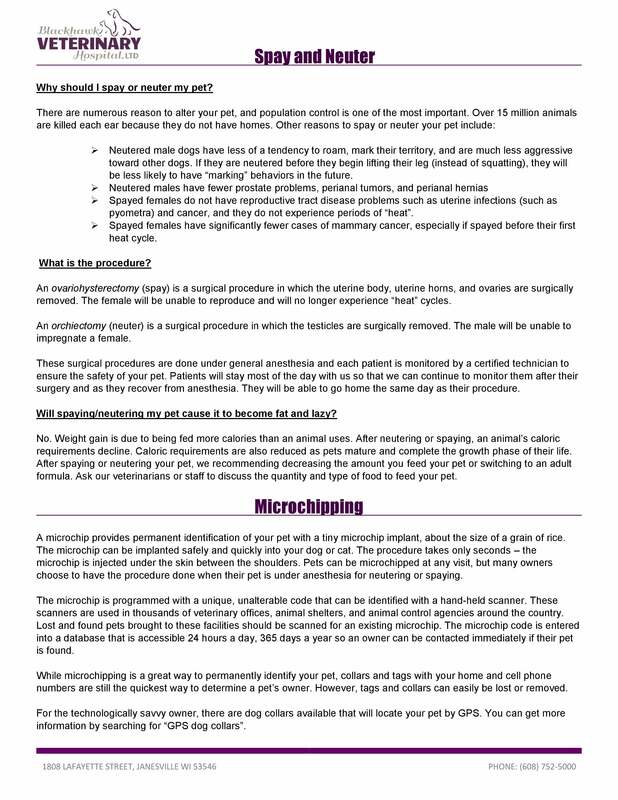 3) Will my pet be monitored by a Certified Veterinary Technician? Licensed or Certified technicians are our equivalent to nurses in human hospitals. They attend an accredited college and pass an examination before the State of Wisconsin will issue them a license to practice. They are required to complete annual Continuing Education courses to maintain their license. 4) Will specialized equipment be used to monitor my pet while under anesthesia? Along with a certified technician, we use a pulse oximeter to measure oxygen levels in the blood, ECG to monitor heart rate and rhythm, blood pressure and temperature monitors during anesthesia. 5) How will my pet's temperature be maintained during anesthesia? Cold patients recover slower and have more complications after surgery. We use warm air blankets designed for dogs & cats to maintain body temperature and reduce the risk of burns. Human electric heating pads, hot water bottles, or microwave heated pads can result in serious burns. 6) Where will the surgery be performed? Sterility is extremely important during surgery. Our surgery suite is used for only one purpose to reduce the risk of postoperative infection. 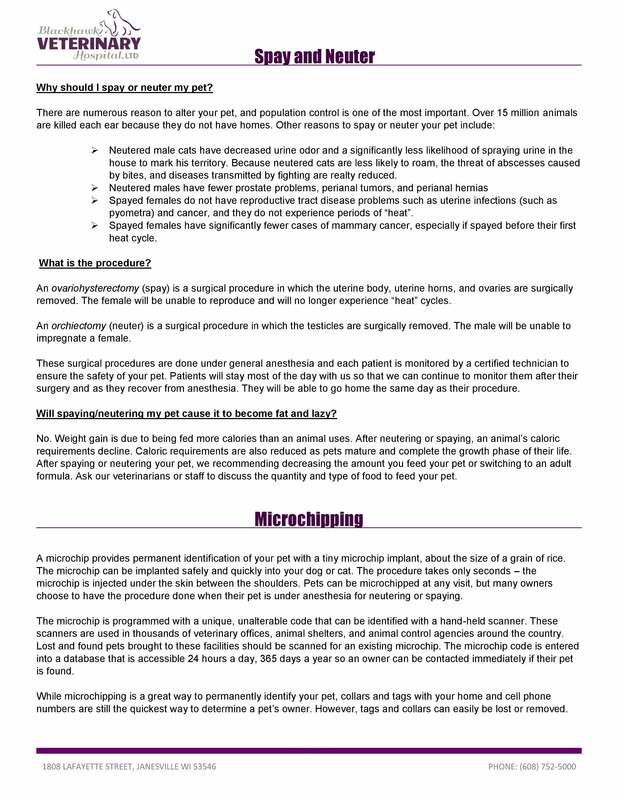 7) Will separate surgical instruments, sutures, and drapes be used for each patient? Just like human surgery, veterinary standards require using a separate sterile autoclaved instrument pack for each patient. 8) Will my pet receive post-operative pain medication? Pain medication should be standard rather than an option.